Set the oven to 200°C to preheat while making the dish. Chop the washed chicken into small portions. You should cut about 2-3 pieces from each chicken breast. 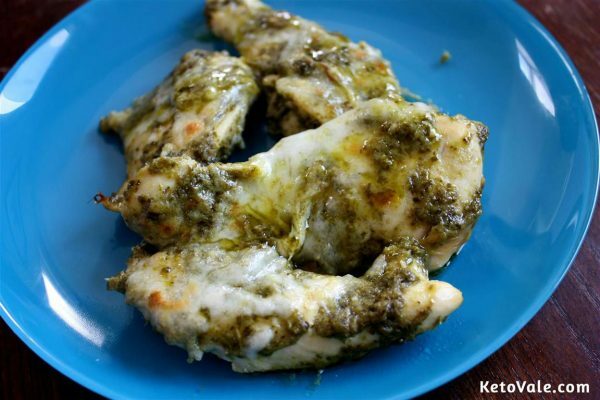 Put 2 tbsp of pesto in a pan sprayed with cooking oil. 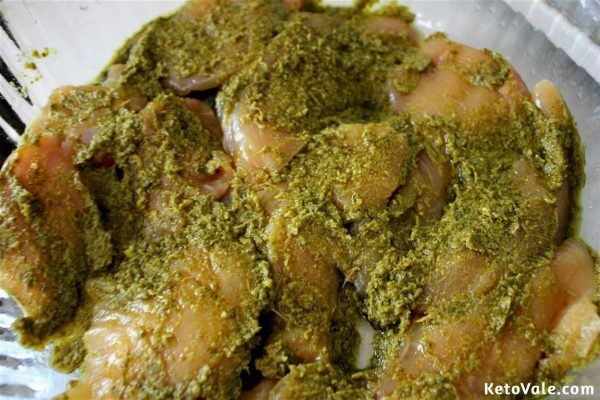 Throw in the chicken pieces and add the remaining pesto on top of the meat. Enclose the pan with aluminum foil and allow cooking for 15 minutes or up till the meat is slightly cooked through. 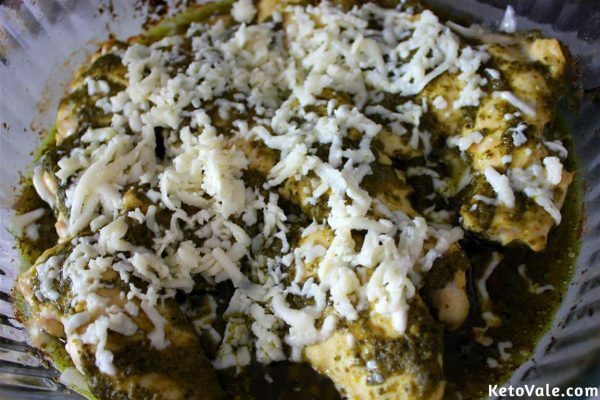 Sprinkle the grated mozzarella on the chicken. Remove the foil completely and cook for additional 4-5 minutes. Optionally, you can add grated parmesan together with the mozzarella. You can also add freshly ground black pepper to the chicken before cooking it. It’s important not to overcook the chicken, so you should not wait for it to be completely cooked before adding the mozzarella. 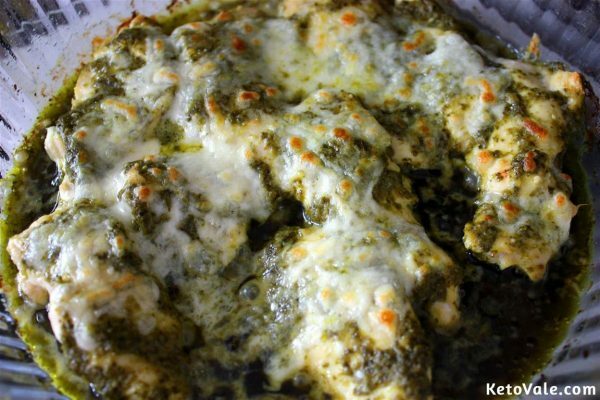 When buying your pesto, check the label for the ingredients and for the carbs it contains – pesto is typically low-carb but the actual number can vary.